What is the impact of water availability on vegetation dynamics at the local scale? Mariette’s interest in Earth observation and the effect of climate change on Earth’s ecosystems developed during her B.Sc. and M.Sc. in Earth Sciences at the VU University Amsterdam, The Netherlands. This motivated her to pursue a PhD in remote sensing which she started in 2012 at the Department for Geodesy and Geoinformation at TU Wien with Prof. Wolfgang Wagner and as part of the Doctoral Programme on Water Resource Systems with Prof. Günter Blöschl. During her PhD, she focused on assessing vegetation dynamics from spaceborne active microwave backscatter observations. 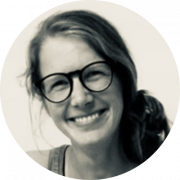 Since obtaining her PhD in 2016 Mariette has been working as a Postdoc at TU Wien in the field of microwave remote sensing. Her area of expertise is the development of retrieval algorithms for vegetation and soil moisture from active microwave observations, in particular from the Advanced SCATterometer on-board of EUMETSAT Metop satellites and from the Synthetic Aperture Radars on-board of the Copernicus Sentinel-1 satellites. In addition, she works on the validation of Earth Observation datasets with in situ data collected from networks and field campaigns. Mariette’s research ambitions are to develop retrieval algorithms for land surface parameters at high spatial resolution by combining SAR and scatterometer observations with innovative methods and field experiments to further our understanding of Earth’s ecosystems. She is particularly interested in understanding dynamics and interactions of soil moisture, vegetation and climate drivers across scales. The objective of SHRED is to develop and use a novel high-resolution vegetation optical depth dataset based on ESA’s Sentinel-1 satellites to improve our understanding on the local impacts of water availability on vegetation at a global scale using novel machine learning approaches. Read more on the research project sheet. Vreugdenhil, M., W. A. Dorigo, W. Wagner, R. A. M. de Jeu, S. Hahn, and M. J. E. van Marle. “Analyzing the Vegetation Parameterization in the TU-Wien ASCAT Soil Moisture Retrieval.” IEEE Transactions on Geoscience and Remote Sensing 54, no. 6 (June 2016): 3513–31. https://doi.org/10.1109/TGRS.2016.2519842. Vreugdenhil, M., S. Hahn, T. Melzer, B. Bauer-Marschallinger, C. Reimer, W. A. Dorigo, and W. Wagner. “Assessing Vegetation Dynamics Over Mainland Australia With Metop ASCAT.” IEEE Journal of Selected Topics in Applied Earth Observations and Remote Sensing 10, no. 5 (May 2017): 2240–48. https://doi.org/10.1109/JSTARS.2016.2618838. Vreugdenhil, Mariette, Wolfgang Wagner, Bernhard Bauer-Marschallinger, Isabella Pfeil, Irene Teubner, Christoph Rüdiger, and Peter Strauss. “Sensitivity of Sentinel-1 Backscatter to Vegetation Dynamics: An Austrian Case Study.” Remote Sensing 10, no. 9 (September 2018): 1396. https://doi.org/10.3390/rs10091396.